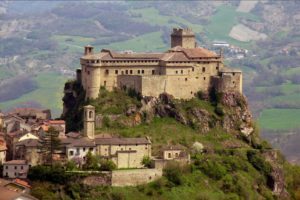 Italian Castles are known for their smart constructions, planned out by noble families who want to control their power from enemies. Apart from the rich background of castles in Italy about families who have taken over the properties, there are scary stories that even town folks will never forget. Castles are naturally scary. Just by touring through its passageways and dungeons, you will already feel partly uneasy when imagining the history of the castles. Be warned, these are not castles you’d like to be staying in while traveling in Italy! The unlikely truth is, some of the stories associated with the castles are supported by real-life occurrences. Other claims may simply be exaggerated accounts, but you cannot deny the fact that these make the castles even more terrorizing. The haunted castle is known for its creepy story surrounding a little girl’s murder, which was suspected to have been committed by her father. Lord Ugolinuccio da Montebello was the head of the castle, and he has a five-year-old daughter named Guendalina. According to studies, the little girl was playing with a ball on June 21, 1375. However, the ball she is playing with fell downstairs and Guendalina came after it. The little girl was an albino. Her father asked two people to watch over her especially now that she cannot go out in the village or be exposed to the sun. Although she was guarded by two men, her body was not found, which made the speculation about Lord Montebello stronger. During summer solstice every five years, it is believed that the girl is still roaming around the castle. Cries of a little girl are often heard in the property, even by tourists. Since then, Montebello is considered a ghost inhabited castle. The castle of Bardi (Parma). This castle is found in a commune in Parma province. It is located around 50 km southwest of Parma and approximately 130 km west of Bologna. The castle borders Varsi, Bore, Compiano, Morfasso, and Bedonia among others. Legend claimed that the name of the town where the castle was built was derived from Barrio—Hannibal’s last elephant. In contrary, historical records revealed that it is named after Lombard noble family, who came into existence around 600 AD. 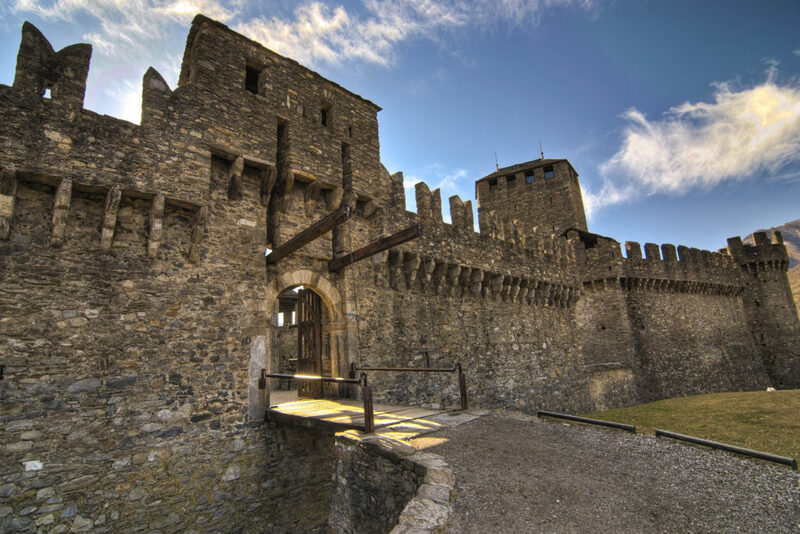 Castle of Bardi is not only rich in history when it comes to families that have taken over it. There is another ill-fated legend that made the castle more famous. According to the story, the Lord of the castle had a daughter named Celeste. The noble woman was in love with the captain of the soldiers called Morello. The problem was that Celeste is arranged for marriage to a liege subject for the family to claim extended power and properties. According to claims, Celeste and Morello were given the chance to spend time with the help of a maid. The doomed ending of the love story started when Morello left for a fight. After weeks of waiting, Celeste witnessed the arrival of men with colors of the enemy, realizing that her lover was defeated, she threw herself from the wall and plunged to her end. The truth is, Morello only decided to wear the color of the enemy to show disrespect and celebrate their victory. Morello was met by sad news that his lover committed suicide. Following Celeste, Morello also killed himself. The castle became a center of researchers given its intriguing past. There are reports that Morello’s ghost has been seen on several accounts. The Department and Study Centre of Parapsychology of Bologna even managed to take a picture of him, which was later on displayed on the castle. 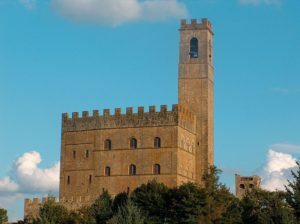 The medieval castle is facing the Casentino Valley and located in Arezzo. Estimated by experts, it was developed in the second half of the 13th century AD. Nonetheless, there are documents that claim otherwise, showing that it was probably erected by the end of the 12th century BC. From its first development until the 15th century, the Guidi family has been the head of the castle. This well-preserved castle became even more attractive due to its infamous resident named Matelda or Matilda. According to stories, she was the most beautiful woman in the land. She was married to the old Lord Guidi at a young age. It was said that due to her lack of love to her husband, she decided to welcome eligible bachelors to her castle. These men were called to either to entertain or do repairs. Apparently, it was not difficult for these men to fall in love with Matilda given her beauty. Every evening, she would choose one to spend the night in her chambers. She would usher these men out to the back door to avoid getting exposed to the public. The grim truth is that she would silence these men permanently by using a trapdoor that causes her lovers to fall to their deaths. Young men’s disappearance became a concern to people. As a result, they aggressed the castle and had her walled up. Matilda was left in the tower to die. Until now, townspeople believed that the soul of Matilda haunts the castle. In every life of luxury and power, there will always be a secret. This is proven by magnificent castles that never escaped doomed endings for its inhabitants.